A 24-hour Ibiza opening party has locked in a seriously impressive lineup, including Paul Kalkbrenner, Richie Hawtin, ANNA, Peggy Gou and Stephan Bodzin. 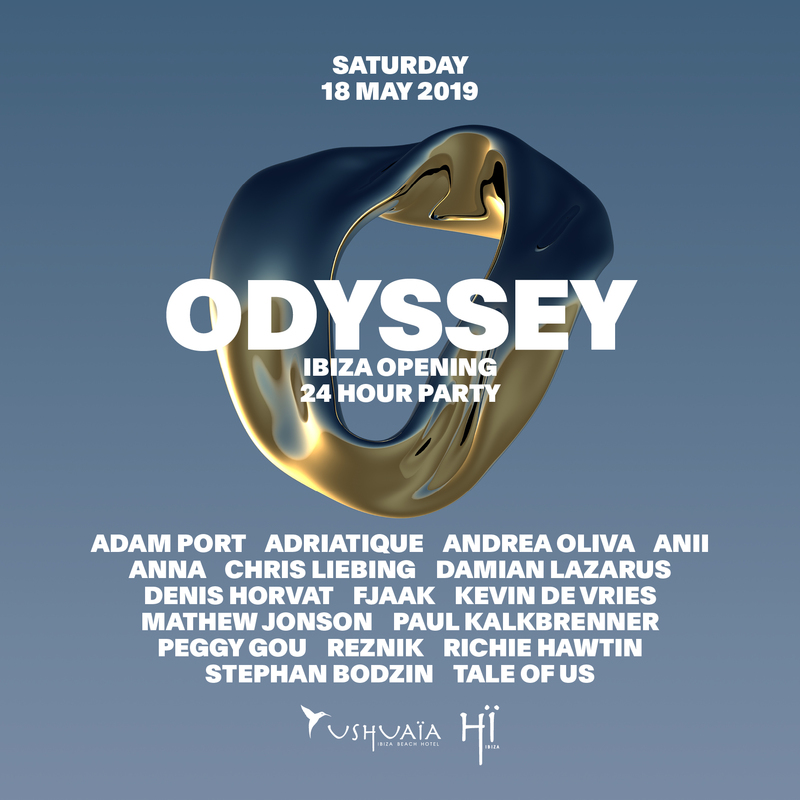 Titled Odyssey and run by nightlife company The Night League, the full day's clubbing will also feature Tale Of Us, Damian Lazarus and Reznik. Beginning at Ushuaïa Ibiza on 18 May at midday, and ending at midday the next day (hence the 24 hours, we're excellent at arithmetic here at DJ Mag HQ) at Hï Ibiza, it looks set to be a belter of a summer opener. Tickets and more info found over at the Odyssey site. Read about Armin van Buuren's summer residency at HÏ Ibiza here, and where Richie Hawtin landed on our 2018 Top 100 DJs poll here.